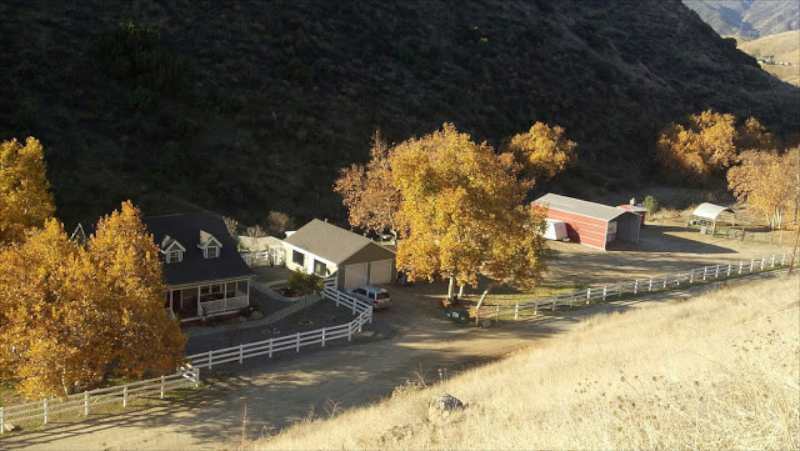 This one is of my ranch that shows how rural we are and why the water would be found behind my house, gravity. I have a quick question. I live in a rural area of Southern California adjacent to 15,000 acres of open space. Is it possible that the coyotes living on my ranch consider us part of their pack? I don’t feed them but they get water from the stock tanks. None of my animals are concerned about them and I have yet to lose one to a coyote, including chickens which have been allowed to free range 24/7 for years. At this point, we’ve had generations born here and they all seem to except us. In fact, if someone down the road shoots at one, they run back here. One female that was born behind the house has chased the hoses I was dragging around, like a puppy would. I don’t encourage that but there is something going on that fascinates me. Just wondering if you’ve heard other stores like that. Right after I received your last email, a neighbor stopped by while I was out front to tell me they thought I got a new dog but then realized it was a coyote playing in my front yard. I cannot locate the picture I was going to send you but I do have a couple that you might be interested in. Here are a few more that show the small fence that keeps my chickens out of the creek. The one of the cattle has the den in the picture, taken from my back deck. And of course, the rabbits feel safe too! What a wonderful testimony to coexistence your experience is! I’m a coexister living in Atlanta, GA and your story reminds me of the touching book by Dayton O. Hyde entitled Don Coyote. Right off I would say that these coyotes probably do not accept you as part of their family pack, as much as they accept you as part of their environment — a safe environment. You have proven to them that you won’t go after them, and they know that. In most instances coyotes leave other animals alone if they themselves are left alone. I’m in contact with a woman who regularly sees a coyote and a skunk resting within view of each other in her back yard! Ferdinand the Coyote, by Charlotte Hildebrand. You’ve allowed the coyotes to drink from your water trough without chasing them out. By not creating antagonisms, you’ve created a live and let-live situation. So there’s plenty of water for everyone, and probably plenty of food in the way of gophers and voles. HOWEVER, if food for some reason were to become scarce for them, they very well could try a chicken, and if they caught one they might actually begin seeing them as a food source. One question I have for you is, do you have dogs? Dogs seem to create the biggest issues for coyotes, especially if they go after the coyotes during their first encounters. If you don’t have dogs, these issues, of course, won’t exist. Please let me know! People need to hear these positive stories and yours is really nice! I do have two dogs but don’t let them run free. They’re 30 pound house pets. The other morning I decided to take my female with me to feed the horses. She was off leash but is well trained. We turned the corner by the garage and a coyote was standing right there in the driveway. I picked up my dog and brought her inside, but neither animal really reacted. When I came back, the coyote was in the same spot and then scampered to my horses. My horses don’t even look up when she goes in there with them. I had to laugh because it was just like having a ranch dog tag along while doing chores. We also have a spring/creek right behind the house and have water there most of the year. They build their dens close to the spring, in my pasture. I do have three young cows out there now and if they get close to her den, she comes out and stands guard but that’s it. Thanks for a great story, wonderful photos and excellent response. So seldom do humans allow the coyote (and other wildlife) to peacefully coexist in their midst, so this is really refreshing. Amie, you have a beautiful ranch and what fortunate animals to have you as their caretaker. 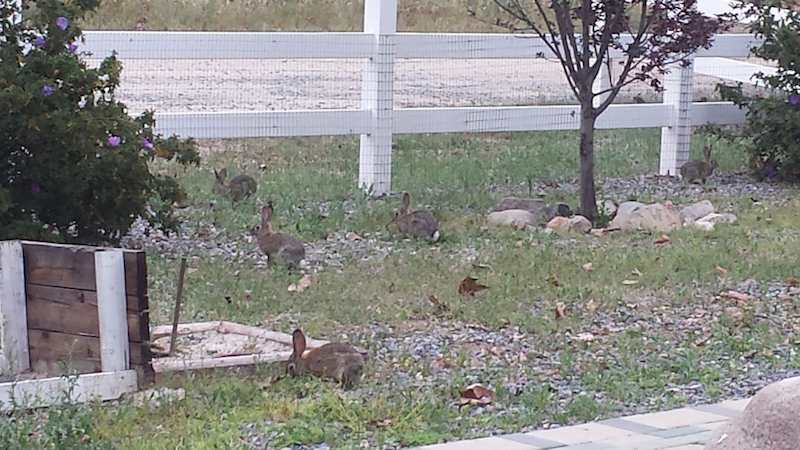 I am intrigued by the relaxed behavior of “your” coyotes, especially around your farm animals … and the wild rabbits! The anthropomorphic side of me wants to think they appreciate your safe haven and easy access to water, so in exchange they are on their best behavior, lol. I’m guessing it’s more likely that they have easy access to a plentiful supply of small rodents as well as fruit or vegetable type foods, since coyotes are omnivorous. Had to smile when you describe the coyote running to the horses after the brief appearance of you and your dog. Can’t help but wonder if it was for “protection”? Too, it seems the cows are taking cues quite well from the coyotes when they go too close to,the den sites. Do you have a vegetable garden and/or fruit trees? Are your chickens penned? They seem to be judging from the photos. Have you ever observed the coyotes return with a “kill” from elsewhere? Have your cows or horses ever given birth on your property? Any problems or curiosity from coyotes? Have you ever intentionally fed the coyotes? There is a “predator-friendly rancher” in northern CA by the name of Kelli Hendricks – you can find her via google. I’ll bet she would love to hear from you. I wouldn’t be surprised in the least that your combined narratives could help revolutionize how some ranchers negatively react to the presence of coyotes! Great story! Thank you so much for sharing! More stories like this need to be told. I have friends that talk about being surrounded by coyotes but never having issues with them killing their chickens yet they do have issues with the neighbors dog killing their animals. We have the occasional coyote wander through our area but never sticking around long enough for us to get to know. Please continue to update your experience! In my area, dogs are much more problematic than coyotes. In fact, my horses have been attacked twice by neighboring dogs and their owners are on notice that I will not tolerate that. My chickens are raised along side my dogs and they don’t view canines as predators. I think them not acting like prey might help. I once dumped a load of manure in their area, right next to the fence, and they spent several days digging through it. One morning a coyote was right next to the fence, feet away from the chickens, just watching them with perked ears. The fence is 30 inches high, just enough to remind my hens not to cross the road. I’ve never fed the coyotes but I do have fruit trees that they help themselves with. I’ve seen them with snakes in their mouths. We also have rabbits galore. At night, when the yipping begins, I’m reminded how many there really are. The only territorial behavior I witnessed was a fight between a coyote and a large raccoon. That was quite the fight with both animals waking away. The bottom line is that I’m pretty fortunate to have all this going on in my back yard. I hope the harmony continues but if something changes, I won’t be surprised. That’s just a reality people that live in the country need to deal with. Hi Janet, just catching up (way overdue). Thanks for sharing my story. This story by Amie is making me rethink my position on my neighbor. The two coyotes that have been fed by my neighbor Thea for 4 years are still coming around, either morning or late afternoon, to eat and drink in her backyard. But the difference is I now own two cats, and have been on high alert when my cats are out roaming around and coyotes are eating next door at the same time. But if i look at it in the light of Amie’s story and other similar stories posted here perhaps I don’t need to worry quite as much. The coyotes next door still allow wildlife to flourish—skunks, ravens, feral cats— while they wait patiently for their turn at the food counter. So far my cats have explored the area with nothing happening to them. Sadly, though, Thea is aging and recently broke her arm and no food has been out, thus no coyotes. But I do wonder once she’s better, if the female coyote, who just had babies, will bring them up to Thea’s backyard to start a lifetime of food dependency. That would be an ecological disaster. 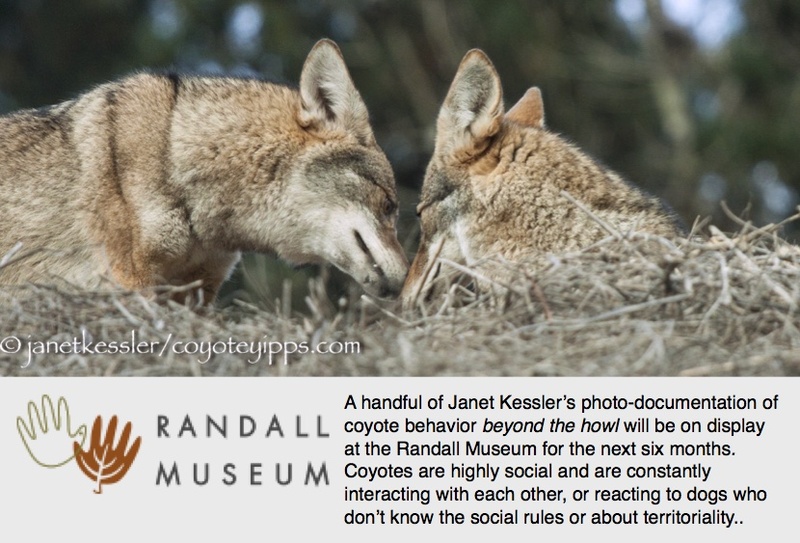 Janet, I wish i could somehow get a recent fb post i did on the coyotes to this website. Hmmm, wonder how that could be done? Response to it was more than i usually get, lots of people saying what a bad idea it was to feed the coyotes, even giving tele nos. of city officials. Hard to report a frail and aging neighbor, and i don’t want to do it. But then when i started thinking abt the young ones, and starting a whole new generation, i thought maybe i should. But what would they do. Remove them from the area? Disaster! Thea is no longer compos mentis so talking to her is out of question. I’ll work on trying to transfer the fb post and responses, which are public and if you want to post you can. (may take a bit). Great visiting on your site again!